Congratulations to the County Winners of this year's Reflections Contest! Good luck to our county winners who will move on to the state level for judging! It's never too early to think about GRADUATION! 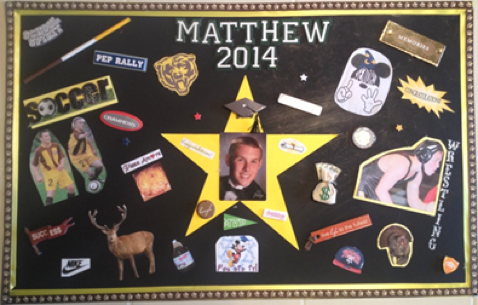 Celebrate your student's accomplishment by purchasing a personalized 2019 graduation yard sign for your 8th and 12th graders. Cost is $25 per sign and you may order as many as you like. Signs are approximately 18" x 24" and include yard stakes. 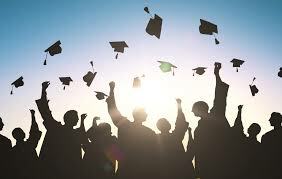 All sales are FINAL: Please confirm your child's eligibility for graduation. Orders will be available for pick up at the annual PTA Bingo/Reflections Awards Night on May 7, 2019 at DHS. Check should be made payable to Delran MS/HS PTA and must include your child's name. Place your order using this link or print the form located on our Forms & Links page. Orders will be accepted September 20, 2018 through March 27, 2019. 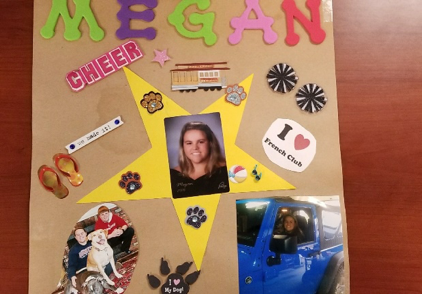 Make a keepsake to honor your child by decorating a Senior Star! Your child's star will be displayed at the Gift Basket Extravagana and at Project Graduation where your child will receive his or her star. The money collected from the Senior Stars will go directly toward Project Graduation. You can purchase a star for $5.00 at the Senior Parents Meeting on November 13th or by contacting Jennifer Budzyn at budzynj@yahoo.com or (856) 313-6850. Completed Senior Stars can be dropped off during the evening setup for the GBE on April 12th or any time before at Jen Budyn's (64 Stoneham Drive) or Michelle Hess' (60 Amberfield Drive).